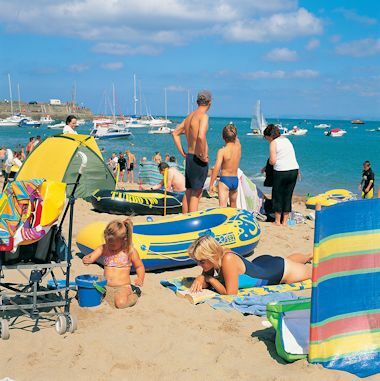 New Quay is a beautiful fishing village situated in Ceredigion on the West Coast of Wales, is popular with tourists and is an excellent family location with its picturesque harbour and sandy beach and an ideal base to use for exploring the West Wales coastal area. The area is also still significantly used in employment for sea fishing and fish processing and is ideally located for the annual Cardigan Bay Regatta which usually takes place in August. The Regatta includes events such as rowing and swimming, dinghy and cruiser racing and has been a feature in the area since before 1870. New Quay particularly came to prominence after the early 19th Century following the building of a stone pier and increased trade including shipbuilding, although after 1870 the shipbuilding ceased but many old features of this can still be seen around New Quay. At one time in fact over 300 workers were employed in the shipbuilding industry in the town and the surrounding area. The harbour itself has excellent launching facilities for most types of craft. Another popular attraction from the harbour are the trips to see the bottle nose dolphins, Porpoise and Atlantic Grey seals which can be viewed in the bay during certain times of the year. Another must see on the trips and cruises is the picturesque Ceredigion Marine Heritage Coast which is recognised for its unspoilt coastline and wildlife where amongst many sights you will get the chance to see some of the many sea birds that nest and feed from the cliffs. If you fancy some sea fishing you can also join one of the sea fishing trips which can also be found in the harbour. Other attractions include the splendid coastal walks with numerous opportunities for nature lovers, the New Quay Honey Farm, the largest bee farm in Wales where you will have the opportunity to sample at first hand a wonderful range of natural hive products. 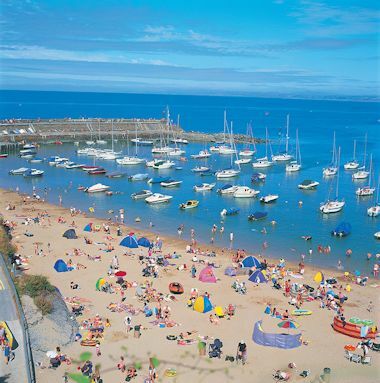 There is an extensive and varied choice in New Quay and the surrounding area of places to eat, catering for all pockets and tastes, in particular showcasing the renowned seafood of the area. 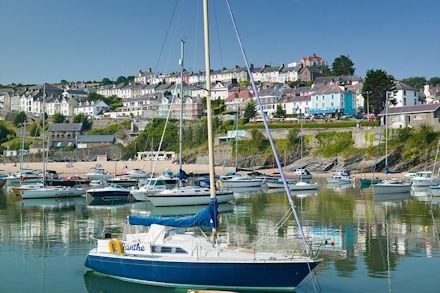 In the wider Cardigan Bay area there are many other places to explore including Aberaeron, another picturesque fishing village with Regency style houses and its own array of attractions also including several coastal path walks (4 miles to New Quay) or to the north for 7 miles where you will find Llanrhystud. In the process of these walks you will experience more wonderful scenery. A little further along the coast is the larger sea side resort of Aberystwyth which is the principal holiday resort for the West Coast of Wales and the home to the University of Wales and the national library. The town is nestled between three hills and two beaches and hosts some castle ruins, a pier and a harbour as well as an iron age fort. The town also boasts the Aberystwyth Electric Cliff Railway, the longest such railway in Britain.